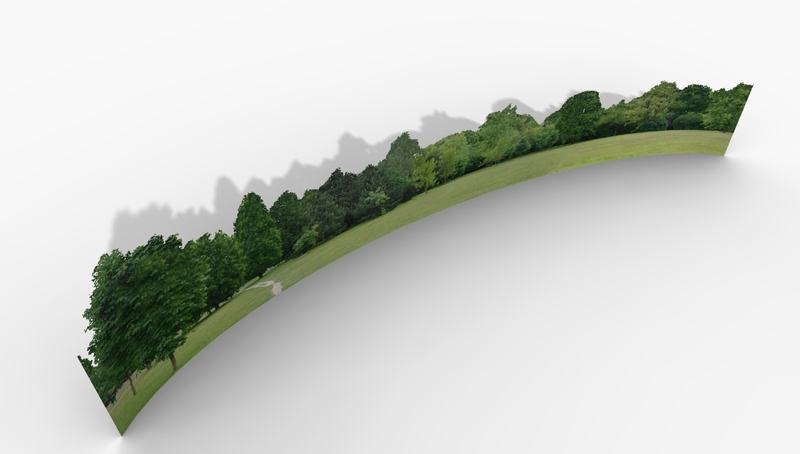 Tree line PNGs that I projected to a curved surface. Good to fill out your model background. Renders well. 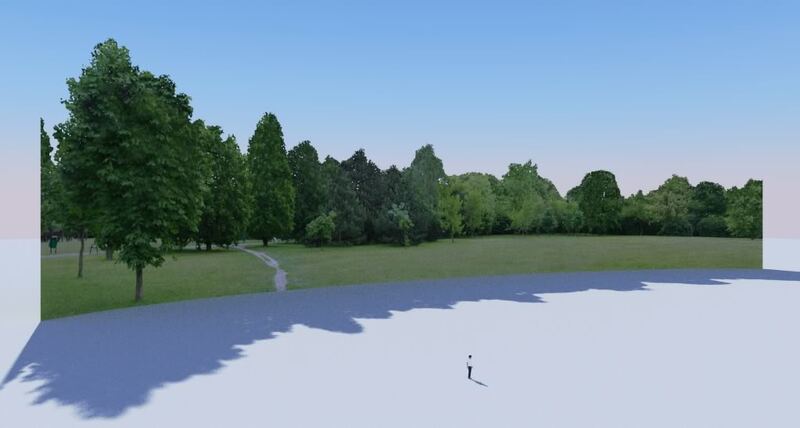 I meticulously deleted all the sky from around the tree leaves and saved in render-friendly PNG. Due to a recent episode of theft, these tree lines will now only appear in the SketchUcation shop. Somebody has decided to distribute my work on their website without permission. While these tree lines were made as a gift to the SketchUcation community, people have taken advantage and used this product to gain more hits on their own websites. 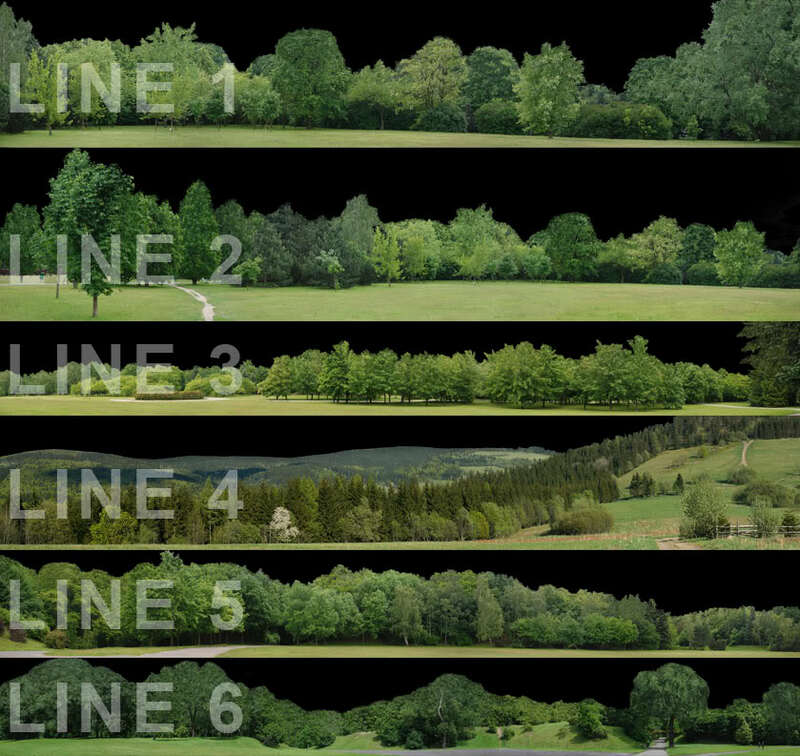 The tree lines have been downloaded tens of thousands of times. Nobody asked me permission to distribute and host my work, I was never even credited as the author. 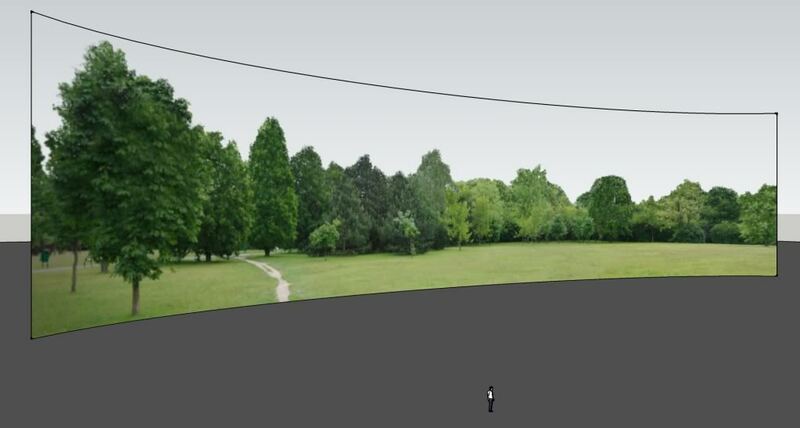 The person involved even made a "Part 2" to my curved tree lines, again, without permission. The "Part 2" is of inferior quality with substandard masking. I do not want to be associated with that website or the "Part 2" collection of tree lines that I did not create or condone. The "Part 2" was made to look like I had produced them, using the exact same presentation, fonts, colours etc. However, this is where the similarities end. I believe it is deceiving to the community to release this "Part 2" because of the vastly inferior quality. I do not want my reputation to be tarnished by such inadequate work. 1) The only places where you should ever see my tree lines are in the SketchUcation shop and in the Podium Browser. 2) If anyone sees my work elsewhere, please notify me immediately and I will be very thankful. 3) If anyone would like to distribute and host my work, please just ask. It only takes a minute. Sorry to make a post that highlights this theft problem, but I can't tolerate someone taking advantage of my good nature. An extra thank you goes to Fletch for supporting me in this matter. Last edited by olishea on Tue Apr 22, 2014 6:15 pm, edited 7 times in total. wow you are very generous! Some say there are no stupid questions. I'm in the habit of proving those people wrong. The sky was quite pale anyway so I made it white and used color range to delete most of it. I then just used clone stamp with a leaf brush to fill any gaps where I deleted too much. you can make selections using channels but it was quicker just to do this. I will post more when I get round to doing them, got quite a few in mind. Thanks for sharing, Oli! Having made several of these, myself, I can appreciate the work/time! I have added another tree line to my original post. 6 TREE LINES FOR YOU TO ENJOY! olishea wrote: UPDATED ORIGINAL POST! Been trying to make a few myself but can't seem to get rid of the white halo. Do you just contract your selection by a few pixels after the initial masking?